The basis of the BioDeposit® products is sapropel (fresh water lakes bottom sediments) and peat. The term “sapropel” name derived from the Greek sapros and pelos – meaning putrid and silt, mud and was introduced in 1901 by German scientist Robert Lauterborn to describe the silts that accumulate over the millennia in clean fresh water lakes. Organic fertilisers traditionally consist of manure or humus compost and when applied to the soil contribute to the accelerated formation of humus in the soil. Sapropel achieves the same but is 15-20 times more effective than these traditional products! Specific microorganisms and enzymes contained in the sapropel are able to revive “dead ground” reactivating soil functions and to give it highly fertile properties by forming humus. All new organic fertilizers and soil conditioners are generally biologically active substances and contain many nutrient elements. Sapropel varies from these other products by making available these elements in their raw natural balanced form, and has high levels of organic matter humification. Plants and animals easily assimilate mobile forms of potassium, phosphorus, and hydrolyzable nitrogen, which sapropel is rich in. Sapropel is also rich in natural vitamins, contains carotene (provitamin A), B1, B2, B3, B5, B6, B12, E, C, D, P and folic acid. Sapropel contains the largest quantity of amino acids (histidine, glutamic acid, glycine, valine, arginine, aspartic acid, alanine, serine, leucine, isoleucine, phenylalanine, tyrosine, lysine, methionine, threonine, cystine), enzymes (catalase, peroxidase, reductase, protease). others, shown that the productivity of some crops after the use of BioDeposit® is increased by 200-300%, for example: Cotton – 4,6 ton/ha, Coffee – 45 kg/tree. Biologically active components available in BioDeposit® products fruitfully influence soil for a long period of time (from 3 to 5 years). Agronomic crop that are grown on soils with BioDeposit® products are ecologically pure. BioDeposit® Agro is a biologically active soil conditioner produced from natural ingredients: sapropelic colloid and active peat. It is highly recommended for use on depleted, saline and eroded soils with damaged structure and soils treated with chemical and mineral fertilizers for a long period of time. 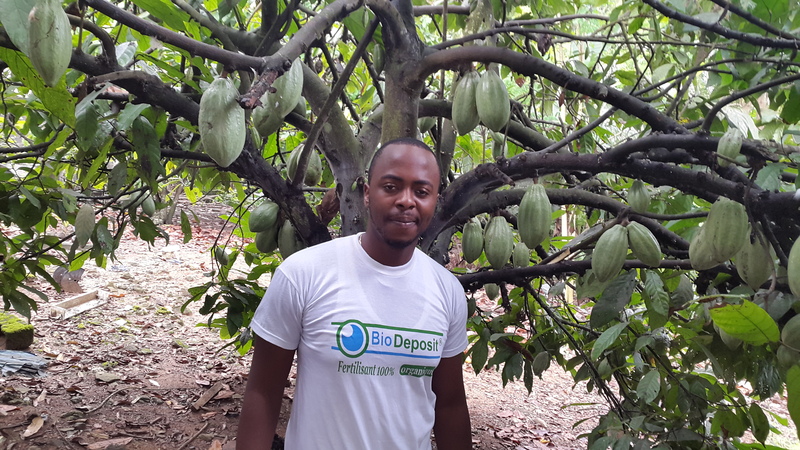 BioDeposit® Agro remains fertile in the ground for several years, so for annual plants it should be once in 3-4 years, with consumption about 1 ton per 1 hectare. 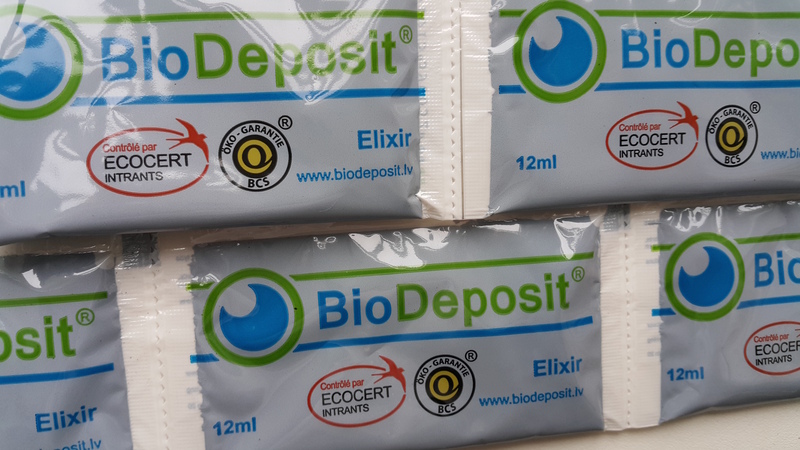 BioDeposit® Elixir is a sustainable, water soluble, biologically active plant growth enhancer produced from specially prepared peat. It is a black color concentrate that initiates plant growth and development. BioDeposit® Elixir is a highly concentrated product, 1 litre of it should be diluted with 2000 liters of water before irrigation or spry. Elixir has no offensive odour and should be used 2 times per season with an interval of 14-15 days, with consumption about 300 ml per 1 hectare. We guarantee 100% seed germination after 12 hours in BioDeposit® Elixir solution. Both products are targeted to naturally increase crop yield by stimulating wellness within the soil and plant root systems, and are designed to be complimentary to each other, although can both be used individually. We suggesting our clients not only buy BioDeposit® Agro and BioDeposit® Elixir products from us, we suggesting our clients BioDeposit® Technology transfer, to use local fresh water lake sediments and other organic deposits.